Or-Yeuda, Israel – May 17, 2010 – Formula Systems (1985) Ltd. (NASDAQ: FORTY) a leading provider of information technology products, solutions and services, today announced its results for the first quarter of 2010. 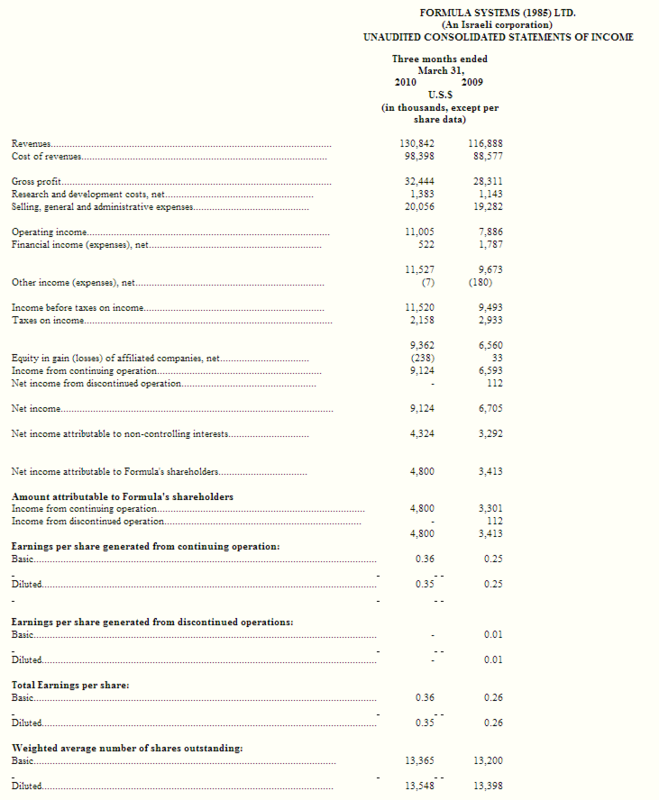 Revenues totaled $130.8 million (Q1 2009: $116.9 million), a 12% increase compared to the same quarter of 2009. Formula’s consolidated cash and short term investments totaled approximately $159.6 million as of March 31, 2010. 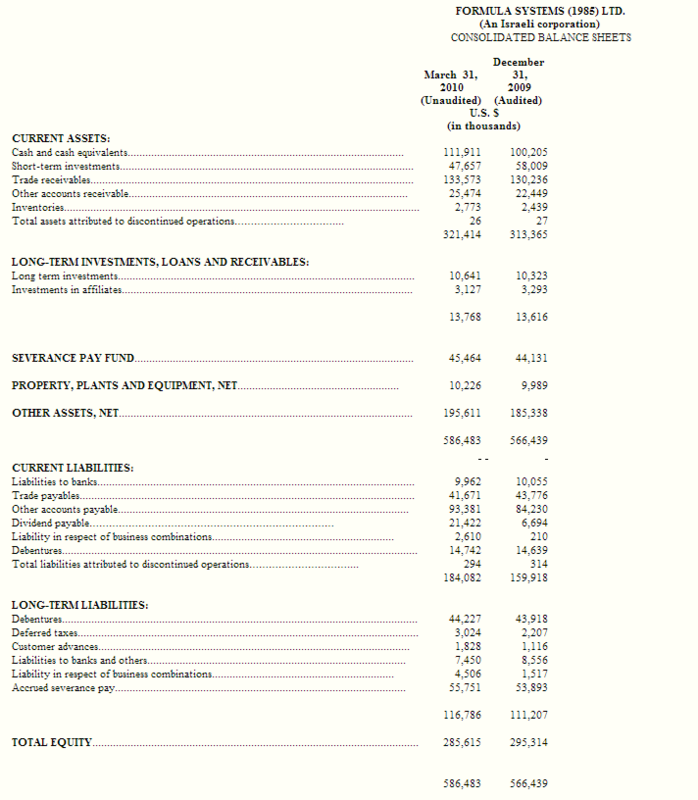 Total equity of $285.6 million at March 31, 2010 representing 49% of the total balance sheet. In March 2010 Formula announced a cash dividend, that was paid on April 21, 2010, in the amount of US$1.47 per share and in the aggregate amount of approximately US$20 million. Guy Bernstein, CEO, Formula Systems, commented: "We are pleased to report strong results for the start of 2010. We have significantly improved our operating and net income, resulting from the positive performance of all our subsidiaries. With a strong cash position, we will continue to explore business growth opportunities, while maintaining our focus on profitability and growth".